I grew up eating chicken noodle soup from a can, and I loved it. Imagine my surprise and delight when I found out that Homemade Chicken Noodle Soup is tastier and cheaper, too! As I type, I’m feeling a little under the weather. A mild sore throat, a few aches and pains, and a regret that there’s a rock solid, frozen chicken sitting on my counter thawing instead of in the crockpot braising. Because a slow cooked chicken leads to homemade chicken stock which leads to homemade chicken noodle soup. We’re also all out of frozen chicken tenders, so I am up a crick unless I want to head to the store, which I don’t because: mild sore throat and a few aches and pains. Needless to say, homemade chicken noodle soup is a comfort food in these parts. I don’t say, “Yes” as often as they would like since I’m usually using up leftovers to make soup. And there are rarely leftovers of roast chicken and noodles. Ha! I guess we know why it’s a favorite soup! I’m thinking I should probably mix things up a bit and make this soup more often on purpose. It doesn’t take much in the way of ingredients and everyone absolutely loves it. 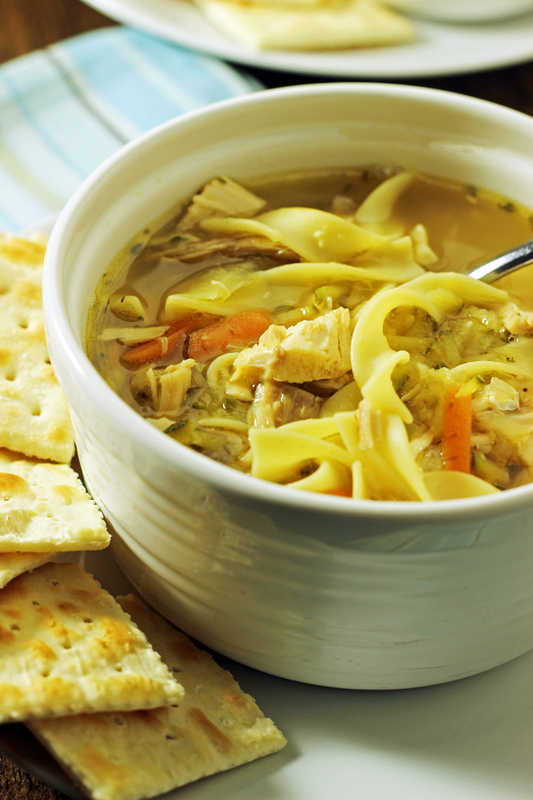 This homemade chicken noodle soup recipe is more in the traditional vein. A friend brought it to me after surgery years ago and it became a fast favorite. This homemade chicken noodle soup recipe is a great one to package up as a gift. With the zucchini, carrot, and onion, I consider the vegetable course accounted for. Add a packet of your favorite crackers or a loaf of crusty baguette, and you’ve just provided comfort in a jar! Click here for our favorite homemade chicken noodle soup. Be sure to make homemade stock with your turkey carcass this week so you can make turkey noodle soup with homemade broth and leftover roast turkey. You’ll be so glad you did! 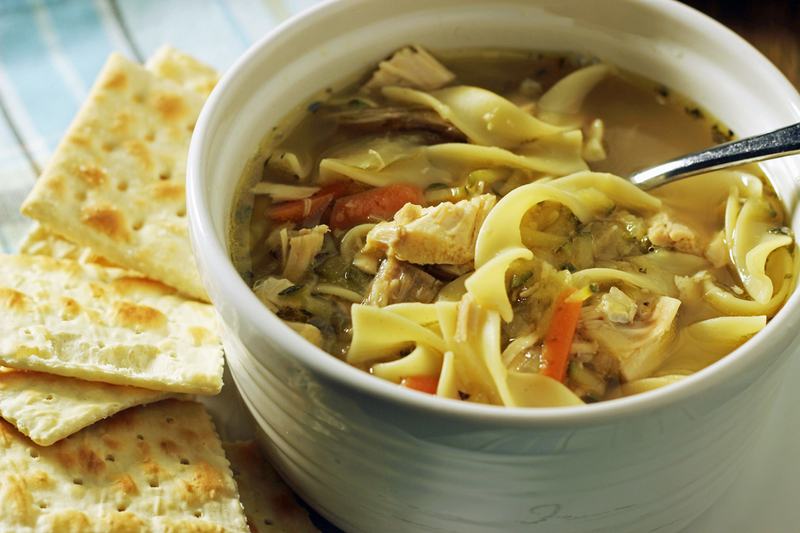 What’s in YOUR favorite version of chicken noodle soup? I made chicken and rice this past week. We ended up eating it for dinner twice. I don’t make soup often and it was a reminder I should make it more often. No recipe. I just winged it. I should say I also sometimes put in sliced carrots and/or celery. Just depends on the mood. But when trying to be more classic Thai, I omit those two. My favorites are chicken noodle and chicken vegetable. I do sometimes cheat and use boxes of store bought stock or broth and canned chicken from Costco. I like their canned chicken which is reasonably priced and keep some on hand at all times for when I’m low and time need a quick meal.